With over 25 years' experience we have established a strong foundation and solutions for all types of electrical needs. 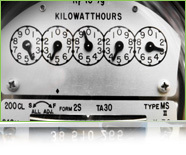 All-Star Electrical Services offer a power factor correction service for Residential and Commercial customers alike, Power factor correction could save the average consumer 13% in their electrical energy consumption just by the installation of a simple device, and in some cases a savings of 20%. Not only does this save you money on your energy bills but since you are using less energy you will also be reducing your carbon footprint and helping to sustain the environment. You can now enjoy the benefits of Power factor Correction, Lightning and Power Surge protection, and Harmonics reduction, in your home or business, all in one energy-saving unit. Reduce Electricity usage up to 20%. Reduce your Carbon Footprint buy up to 20%. Extend lifespan of equipment as your equipment will run closer to the recommended operating voltages. Protect sensitive equipment from power surges or spikes. Air Conditioners will become more energy efficient. Motors will run at higher energy efficiency. Fluorescent lighting harmonics will be greatly reduced. Evaluation is needed before commercial and industrial units are sized.